The Nassau String Orchestra, led by Director Michelina Sobolewski, is comprised of string players who have successfully completed a NYSSMA Level 4 solo (or equivalent) or higher. The ensemble performs a combination of original music and arrangements of standard orchestral repertoire. The Nassau String Orchestra members generally range in age from late elementary school through early high school. The Nassau Concert Orchestra, led by Director Peggy Ho, is open to string, woodwind, brass, and percussion students who have successfully completed a NYSSMA Level 5 or 6 solo. The Nassau Concert Orchestra members range in age from middle school through high school seniors. This ensemble rehearses and performs standard and arranged symphonic repertoire. The Nassau Symphony Orchestra, led by Director Patricia Koppeis, is an ensemble of very advanced musicians who have participated in All-State and All-County music festivals. The ensemble, which was once a chamber orchestra, has evolved into a full symphonic orchestra and gives its participants the experience of playing great works from the symphonic music repertory. The Nassau Principal Orchestra, led by Director Scott Stickley, is composed of the finest high school musicians in Nassau County. Principal Orchestra musicians study privately, are leaders in their school ensembles, and have mastered the instrumental skills necessary to perform in this high level group. Musicians in this orchestra have opportunities to develop leadership skills and orchestral performance abilities. Many of the members have performed in the All-National, All-Eastern, All-State, and All-County orchestras, and go on to attend conservatories and colleges of music. Repertoire for the Nassau Principal Orchestra includes full symphonies, concertos, and choral masterworks. The Suffolk Concert Orchestra, led by Director Eileen Murphy, is open to string, woodwind, brass, and percussion students who have successfully performed a NYSSMA Level 4 or 5 (or equivalent) solo. 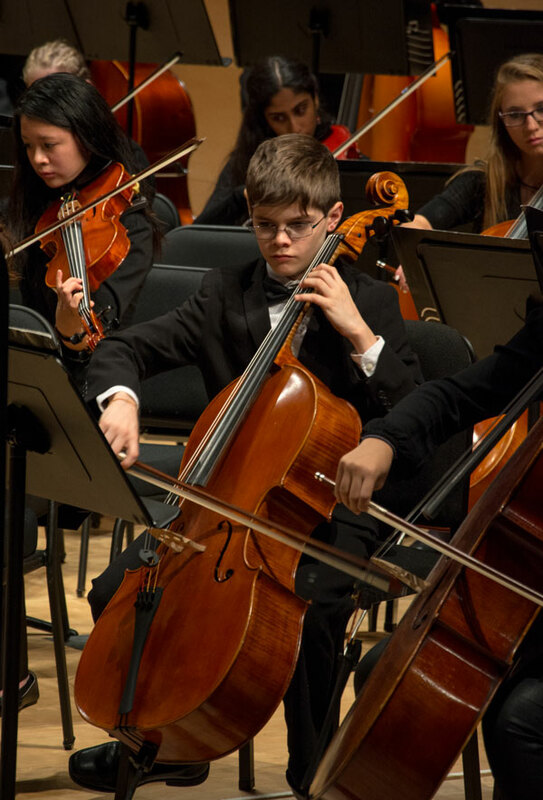 Orchestra members range in age from elementary school through early high school. The orchestra rehearses and performs primarily standard and arranged symphonic repertoire. The Suffolk Symphony Orchestra, led by Director Scott Zarchy, was formed in the 2013-2014 MYO season and is open to string, woodwind, brass, and percussion students who have successfully performed a NYSSMA Level 5 or 6 (or equivalent) solo. Orchestra members range in age from middle school through high school. Music for this orchestra will be selected and performed from the standard orchestral repertoire. The Suffolk Principal Orchestra, led by Director Phil Preddice, was formed in 2008 and consists of some of the finest musicians in Suffolk County. Orchestra members have participated in LISFA, SCMEA, All-National, All-Eastern, All-State, and All-County festivals. The group has performed at Adelphi University Performing Arts Center, Staller Center for the Arts, Alice Tully Hall at Lincoln Center, and Stern Auditorium at Carnegie Hall. Many members have attended prestigious summer music programs such as the Tanglewood Institute, Crane Youth Music, and the New York State Summer School of the Arts. Several of the orchestra’s alumni are currently attending outstanding programs of study in Music Composition, Music Performance, Music Education, Music Business, and Music Therapy. Suffolk Principal Orchestra’s challenging programming has been enthusiastically and overwhelmingly received by audiences.